I'm in between the fresh/frozen camps (I generally buy fresh and freeze it myself), it gives the best combination easy and flavorful. Puree is too messy, extract is unnatural, dried fruit is muted (although it works well in some beers), and juice is fine but a bit bland. I do like citrus zest, but that is more to add complexity and less about making a "fruit" flavored beer. I'm about to do my first non-sour fruit beer in a long time, a citra hopped papaya pale ale. Should make for an interesting summer beer now that DC has hit 90 degrees... Usually I like the combination of fruit and sour, so I am just going to add fruit to 1 gallon of the beer and drink the rest without. I am a bit disappointed in the 18 of you who said beer and fruit don't mix. Don't like flavor of fruit beers? Think they are wimpy/girly? Do you always follow the Reinheitsgebot in your brewing? Post a comment and let the rest of us know. Speaking of fruit, a few days ago I submitted an article to BYO Magazine about making fruited sour beers. If you are a regular reader of the blog there probably won't be too much new information in it, but it pulls together information that is scattered across the blog. Not sure when it will be published, but I'll make sure everyone knows when I find out. With the last hefe I brewed, I split off a gallon and put it on pureed peaches. I did the fresh fruit and freeze routine. I think it came out well, but even more is that it was something fun to experiment with (first try at brewing with fruit). Puree is definitely messy (the fig puree in my sour is chunky and seedy, eesh, but I think a lot more consistent unless you're getting the best, in season fruit. Obviously using a top shelf puree is a must. I found this difficult to answer since I use fresh fruit that inevitably ends up in the freezer for a short time before I need it (I usually rack into fruit in secondary). Then it gets thoroughly pureed prior to fermentation. I really think that, where a quality extract is available, extract is the best way to go. It's way easier, cheaper, and requires no secondary which cuts down on potential for oxygenation and contamination. I know a lot of purists out there don't like the idea of fruit extracts for whatever reason, but come on... if you're adding fruit to a non-belgian beer, you're not really a purist to begin with, are you? Of course that should say "below me." Whoops. P.S. Congrats on the article! That's wonderful and I can't wait to read it. "Most commercial fruits are made with extract by the way..." I find most commercial fruit beers to be lacking (with the exception of some fruit Lambics and a handful of American, mostly sour, beers). I tend to think they are using extract for the “production” aspects you mentioned, rather than because they think it makes the best fruit beer. For me the aromatics you get from extract are only a part of what makes fruit delicious, I think the tartness and to a lesser extent color are also key to a great fruit beer. The sugars are also a big help when I am making a sour beer and want to feed the yeast. I also think fresh fruit gives more complexity if you are doing a fruit forward beer. However, I imagine that if you just want a hint of fruit aromatics in a quick/clean beer then extract might be the best way to go. "I am a bit disappointed in the 18 of you who said beer and fruit don't mix. " It's not a moral issue. I certainly hope you don't find a pocket of pro-rheinheitgebot insurgents torching stockpiles of whirfloc and candi-sugar. I do find that brewing fruit beers is a nice way to break out of a brewing rut. There just aren't many heavily fruited beers that I would want to drink two of. Maybe some of the more restrained Wits. The majority, especially the commercial beers, are so focused on the novelty (Dogfishhead Fort) that I don't even want to finish the bottle. That being said, #9 (a relatively mild fruit beer by any standard) tastes just awful to me so feel free to write my vote off to unfortunate personal taste. Be careful with the papaya, as you may/probably know it contains an enzyme that breaks down protein. Less scientifically it acts really weird in a smoothie, turns almost pudding-like. We'll see, I wasn't sure on how it would work (high pectin, plus meat tenderizer). I may have to add some pectic enzyme if it seems to be setting up. The only issue with the protein cutter I can think of is head retention, but that won't be the end of the world. Oddly some "Burton" water salts contain papain to reduce haze. Looking forward to finding out how it turns out, those issues are why I went with a 1 gallon instead of adding it to the whole batch. Ahem, no mention of sour beer and fruit. Beers get contaminated, and if you can stand to sample the sour mess you may be able to get away murder covering up a lactic acid mouth feel with 1/4#+ strawberries pureed per gallon. What would sweeten up a sour brown? Cherries? Pommes or apples? Choke cherries? Fruit really won't sweeten up a beer unless you kill the yeast first. If there is still yeast it will eat the sugars just leaving the acids. I like cherries and blackberries is red sour beers especially. About the fruited beer question, I happen to BE a girlie (well, nobody's a girlie at 38, but a female anyway) and I despise fruited beers if I can detect that fruit is in there. My hubby made a very nice rye summer ale with a bit of lemon in it, but I really liked it because the lemon wasn't detectable. Like a great recipe from a master chef, the end result was delicious, and the integral parts were not individually discernable separate from the whole. No lemon sticking out in there like a sore thumb. It was beer, and wonderful. Respect to others, obviously tastes do vary, but I do see the marketing of sweet, fruity, beer-like concoctions, as a ploy to open up the beer market to a segment of consumers who don't actually normally like beer as it is. And those of us who do, are perhaps more likely to dislike beer that is more like a wine. I plead guilty to liking beer precisely for its original qualities that are distinct from wine. I know this is an old post but I am new to the blog and saw this and thought I'd throw a comment up. I don't find many fruit tasting beers I like. The one that comes to mind isn't really a fruit tasting beer so much as I know it has Raisins in it. That would be Lost Abbey's Judgement Day. I love the stuff and it does have dark fruit flaovors to it but I don't necessarily taste raisin. I am interested in trying more fruit tasting beers as I love brewing beer and if I can find more ingrediants to use then I can make many more different beers in the long run. Try brewing with some other dried fruits. I've used dates, figs, and currants in dark saisons. They add a subtle fruit flavor that complements the dark flavors you get from high lovibond crystal malts (especially Special B). You can either add them late in the boil pureed in a bit of wort (as Lost Abbey does), or to the secondary fermentor for a stronger flavor contribution. Have fun! I ran into the same issue with fruit puree, which is why I don't use it anymore. I like whole or sliced and then frozen fruit, which is much easier to separate from the beer. Freezing bursts the cell walls of the fruit, making it much easier for the yeast to gain access to the sugars inside. As with primary fermentation, you need to make sure the gravity is stable before bottling. I really only add fruit in sour beers, and as a result I tend to wait 2-3 months after adding fruit before bottling. Clean beers usually don't need that much time, but I'd wait at least a few weeks before starting to check the gravity. ok thanks, I had only waited 2 weeks with the fruit in the secondary before bottling, I'm guessing if I had waited longer dead fruit particles (I'm not sure wgat the technical term is) would have formed and fallen to the bottom of the secondary instead of doing so in my bottles. Plus the carbonation is way too high so I should have waited longer, however my hydrometer readings were the same over 3 days. And as a side note dried fruit flavors are way too muted. Thanks again! I think it's tough to generalize all dried fruit from trying bananas. Russian River does pretty well with Supplication, and that is aged on dried cherries. Having particulate in a bottle can also cause it to gush, even if the carbonation isn't that high. I ran into that when I added dry hops to bottles. I just kegged a dubbel that seems to be lacking the dark fruit flavors I was hoping for. Could I separately ferment a small batch of a blend of grape juice and prune juice with the same dubbel yeast (washed), then add that to the keg? You could certainly give it a try, but I'd be more inclined to brew a 1 gallon batch, heavy on the dark crystal malt to blend. What was your original recipe, and how much Special B did you add? It could also be an issue of age, dark fruit tends to develop with time. The simple recipe was formulated based on a recipe I saw on the AHA site. It's been in the keg around three weeks so far. I've just been taking small samples to check carbonation. It's full of rummy toffee flavors, but no dark fruit. Hi all! I have brewed an awesome lemon lager and it rocks! Brewing strwberry lager now! A key hint is using fresh fruit diserves fresh and liquid sugar! From I have gathered, you don't pasteurize your fruit. Is this correct? Do you recommend freezing? I recently listened to an interview with the brewer from Jester King on the Sunday Session and he opts to sorbate his fruit for sour beers. The other option is heat pasteurization, but they say this drives off aromatics. I tend to freeze fruit out of convenience. Buy fruit in season, freeze and vacuum-pack, then add when a batch is ready. For sour beers I'm not that worried about wild microbes though. 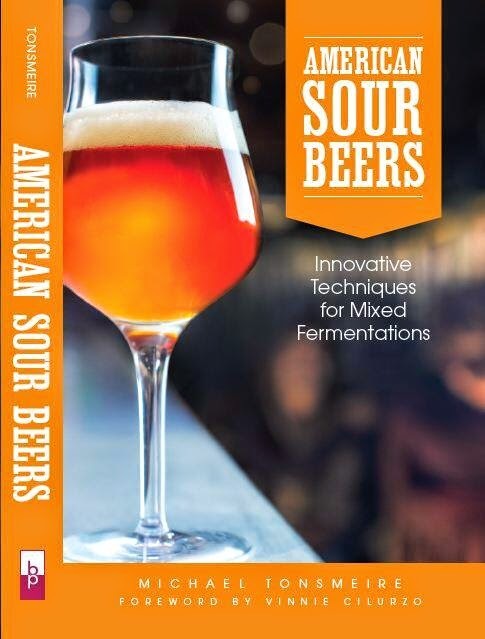 Pretty much all of the major beer spoilage microbes are added intentionally to sour beer. Between the alcohol, low pH, and low gravity, there isn't much any other microbe can do anyway. For clean beers I'm more careful, but I don't usually do anything to sanitize the fruit. I'm more willing to take a small risk as a homebrewer than most commercial breweries are. Mike, I am going to add some previously frozen fruits to some brett saisons that I am working on. I am curious your thoughts on pitching the fruit directly in with the yeast cake, or transferring off the yeast into a tertiary fermenter to age with the fruit. I am curious to see how brett might referment the fruit additions, but am a bit concerned that could produce some off flavors that I don't want. I will be doing one with local Colorado cherries and one with local peaches. Curious if you think it better to rack off the brett cake prior to the fruit addition, or if allowing the fruit to age with brett is a good way to go. Thanks! I find it easier to add the frozen fruit to an empty fermentor and let it defrost before backing the beer onto it. Racking off the floculated yeast won't stop the Brett from working on the sugars from the fruit, if only it was that easy to get rid of! There are some interesting studies suggesting Brett can actually free cherry aromatics from glycosides. What would be the best way to age a bourbon barrel aged stout with Dates? Considering brett to bring in a better nose and to balance out the sweetness. You could chop the dates and age on them in the barrel. Dried fruits don't have much freshness left, so no problem adding them earlier in the process. You could also just puree them and add at the end of the boil to be sure the yeast ferments out the sugars. Sounds like a fun beer, finishing up the second iteration of my Courage Russian Imperial stout clone with Brett and oak. Best of luck!